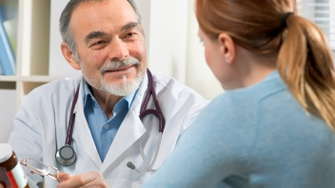 A general practitioner treats illnesses and provides preventive care to patients of all ages. Getting paid a median annual pay of $163,500 nationally in 2010, general practitioners are a crucial part of flourishing economies across the nation. Hourly, that annual pay works out to $78.60 for an average general practitioner. If you are hoping to be getting paid top dollar in your field, getting the formal training is positively fundamental. Incomes can fluctuate radically by location, education, and experience. According to the U.S. Department of Labor, there were a reported 97,820 employed as general practitioners nationally in 2010. A successful general practitioner will generally be described as investigative, social, and realistic. Even if you've got all of the right traits, excellent training is crucial if you want to progress in this field. Getting the right training is fundamental for success as a general practitioner. You need to prepared when you're asked to begin assisting and caring for others, identifying objects, actions, and events, or getting information, all typical daily tasks. Want to learn more about general practitioners? You can find everything from pay information to job density for every U.S. metro area in the nation. Considering a career in health care? Check out health care schools. Thanks to Healthcare Careersfor this information.